The International Day against Homophobia and Transphobia (IDAHOT) marked internationally on 17 May once again sheds light on existing tensions between the LGBTQI community, the authorities, and the Church. 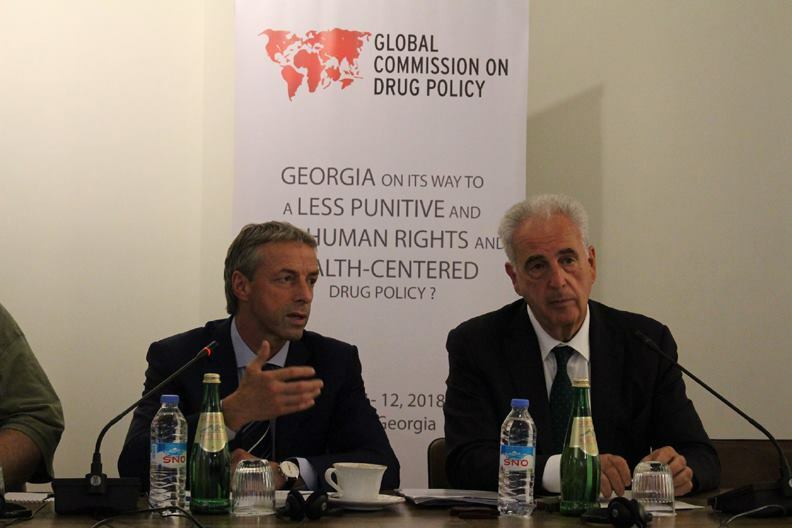 Levan Berianidze, the executive director of LGBT Georgia posted information around 5 a.m. saying that a group of activists were detained for making stencils by the police. ‘As I have been informed the police was violent and brutal — activists were physically attacked, dragged along on ground and the police vocabulary was extremely aggressive!’ Mr Berianidze wrote. Ten activists were detained. According to the information provided by the Ministry of Internal Affairs, seven of them were detained by undercover police for attempting to apply a stencil saying ‘All love is equal’ on the wall belonging to the Patriarchate of the Georgian Orthodox Church. Three activists who were detained for painting a zebra crossing in rainbow colours were already released. The other seven are awaiting trial. Stencils, which were in rainbow colours, have been covered by the paint soon after the activists were detained. 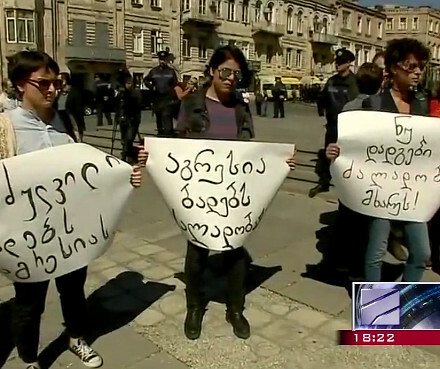 A small group of feminist and LGBTQI activists rallied in front of the Tbilisi City Court’s building demanding an immediate release of the detainees. All remaining activists were released in the afternoon and their trials were postponed until 20 May. Nika Ghviniashvili, who was involved with applying stencils with a group of activists unrelated to the group which was detained by the police, told DF Watch that they received administrative fines after being discovered by the police. Earlier the same day Gocha Gabodze, of LGBT Georgia, wrote on his Facebook that yesterday late at night four people broke into his apartment and assaulted him. They took his laptop and mobile phone away and left him bruised. The Ministry of Internal Affairs has launched an investigation. Gabodze doubts this accident might somehow be related to the IDAHOT events. In the morning, a group of up to ten activists brought a large rainbow-coloured taburetka (‘stool’) in front of the Radisson Blu Hotel, where the conservative anti-LGBTQI Christian conference World Congress of Families (WCF) was being held. The taburetka is a symbol associated with the violent events of 17 May 2013, when a peaceful rally of LGBTQI activists was attacked by an angry crowd instigated by members of the Georgian Orthodox Church. Photographers present at the scene captured a priest using a taburetka to break the windows of the bus by which the activists were being evacuated by the police. ‘The taburetka became a symbol of oppression and daily violence. We’re stressing the fact that LGBT people exist in Georgia and they’re experiencing daily oppression. We’re calling Levan Vasadze and associated extremist and fundamentalist groups as well as the Georgian Orthodox Church to stop generating hate towards LGBT persons within society. We’re calling the state to protect our rights’, Mariam Kvaratskhelia, the representative of LGBT Georgia said. Ms Kvaratskhelia also declared that the authorities refused to give them security guarantees for holding a public event, which was the reason for choosing guerrilla tactics such as applying stencils. ‘It is the only way we have left to express protest’, Ms Kvaratskhelia said. The police didn’t interfere with the protest, although they didn’t allow the object to be left on the pavement. 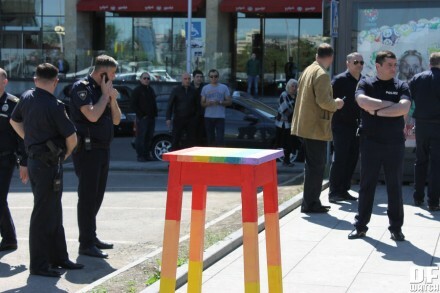 The rainbow taburetka was removed by the activists themselves after the police threatened to issue them an administrative fine, apparently for littering. A performance was organised in front of the Ministry of Internal Affairs by a small group of activists with a title ‘funeral of statehood’, protesting against authorities denying them holding a rally in Tbilisi center to mark the IDAHOT in Georgia. Performers brought a improvised coffin, while one of them was dressed as a priest as if conducting a funeral ritual. Coffin was covered by a rainbow flag. 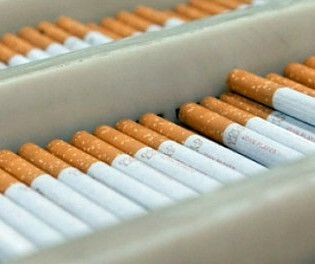 The activists claim that the timing of the WFC was chosen to coincide with the IDAHOT. Also, in 2014, the Patriarchate of the Georgian Orthodox Church declared 17 May the Day of Family Strength and Respect for Parents (also known as the Day of Family Purity). Davitanni, Patriarchate’s Youth Movement, announced a large demonstration to mark the observance established two years ago by the Patriarchate — a family purity day. It was announced to start at 12:00, however demonstration started almost hour and a half late as organizers were waiting for Atskuri’s Mother Marry Icon, a revered Christian sacred image, to arrive from Mtskheta, Georgia’s historical capital, near Tbilisi. Crowd of two-three thousand was filled with altar boys, wearing scarlet and red robes, also clerics in black robes, men wearing Georgian traditional chokha and ordinary people, who brought different icons from home to get a chance that priest may bless it. ‘This is a day of family purity, of international family traditions’, a priest explained during the demonstration. The rally was attended by Levan Vasadze, the Georgian coordinator of WFC and other congress members, local and foreign guests. 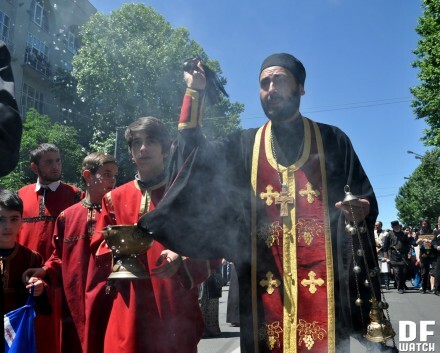 With altar boys holding flags followed by clergy blessing people, carrying icon with few thousands of people, demonstration went on Rustaveli Avenue and moved to the Sameba Cathedral, where Catholicos Patriarch, the Head of Georgian Church, greeted and blessed them. 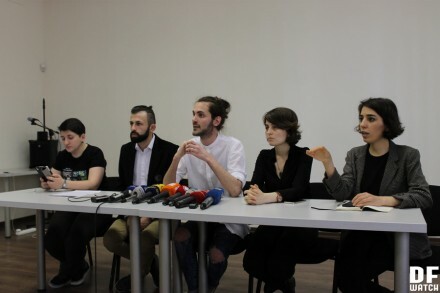 At the same time, the representatives of Georgia’s leading women’s and LGBTQI organisations held a press conference at the office of the Open Society Georgia Foundation, during which they accused the state of terrorising and intimidating the LGBTQI community. 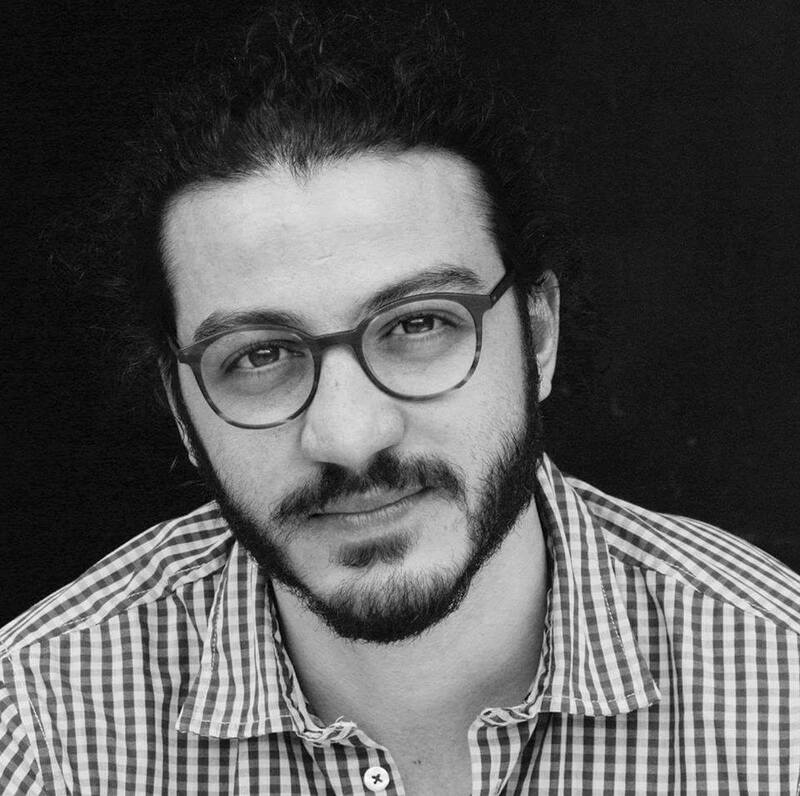 Levan Berianidze accused the state of applying selective justice towards the LGBTQI activists who had to resort to guerrilla tactics following the refusal by the Tbilisi City Council to register relevant pro-LGBTQI rights rallies at Rustaveli Avenue or any other location suggested by the activists. ‘The state once again refused to give the activists security guarantees in order to exercise their right to express their opinions by means of a public gathering. 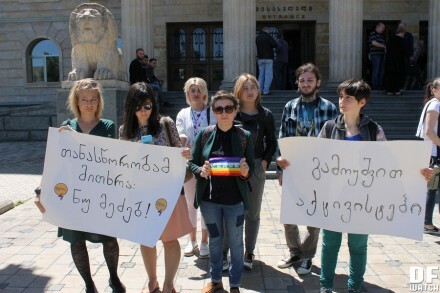 The Georgian state hasn’t left any other means for the activists to express their opinion except engaging guerrilla activities on this very day when they can raise issues of their discrimination and daily violence. Yesterday or the day before, the deputy minister of internal affairs made a false statement in which he said he never met with the LGBT activists and they didn’t offer alternative locations [to Rustaveli Avenue]. I participated in this meeting. Multiple state institutions were involved and the activists offered different locations, including Mrgvali Baghi, Batumi, Temka, and others’, Mr Berianidze said. 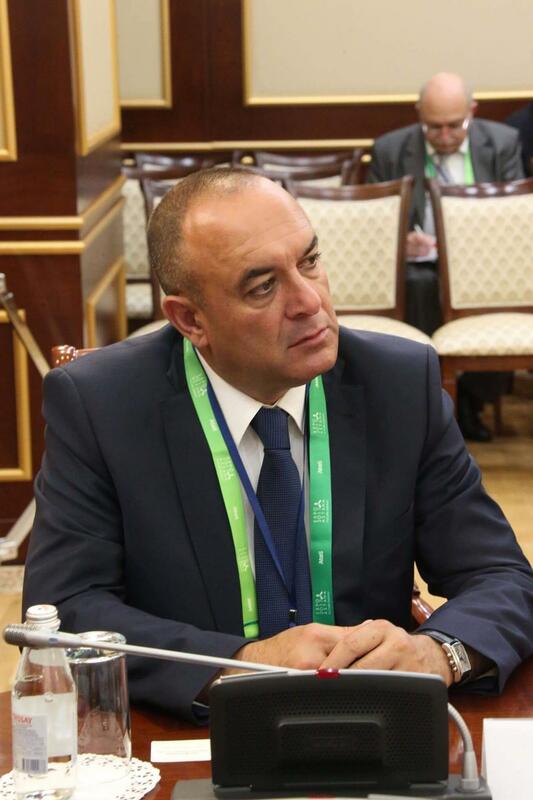 Mr Berianidze specified that the meeting was held in the office of Archil Talakvadze, the deputy minister of internal affairs, and the Prime Minister’s advisor on gender issues [Sopio Japaridze], an unnamed representative of the Tbilisi City Council, and a representative of the Public Defender. DFWatch contacted spokesperson of Mr Talakvadze, who confirmed that the meeting took place with the presence of the representative of ombudsman’s office. He also accused the authorities of exercising pressure on LGBTQI activists. Allegedly, one of the activists who was working on the preparations for the 17 May events was intimidated by the employees of the security service who threatened to reveal all details from his private life to the public and offered him money, apparently for engaging in collaboration. ‘We claim that the state, except securing LGBT persons’ freedom of expression and protecting their rights, on the contrary, terrorises them so the LGBT persons and activists remain intimidated and don’t manage to gather’, Mr Berianidze said. The activists called the state to protect the rights of LGBTQI people, make concrete steps against homo- and transphobic violence, respect the community’s right to express their opinion by means of public gatherings, to pursue secular and anti-discriminatory policy towards minorities, and to publicly deplore hate speech coming from political figures. The Public Defender’s Office issued a statement in connection to the IDAHOT in which he deplored that ‘no effective measures have been taken for raising public awareness or establishing the culture of tolerance in the country’ and called on the public agencies to ‘do their best to prevent hate-motivated violence and manifestation of homophobic actions, as well as to promote unconditional implementation of constitutionally guaranteed rights and freedoms of LGBT persons’. Reported by Dominik K. Cagara and Mari Nikuradze.